Farah - The Only Ones. Vinyl EP. Bleep. 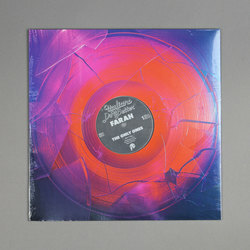 Farah returns to Italians Do It Better with another EP of sleek, sensual electro-noir. The Only Ones was produced in tandem with IDIB boss Johnny Jewel, and the Chromatics man lends his signature retro-Italo sheen to these cuts. The title track finds Farah holding the listener’s gaze above a laconic disco groove, ‘Baby Girl’ throws a little Blondie into the mix, and ‘Shadow Of A Doubt’ is a hypnagogic delight. Also included here is the instrumental of Farah’s celebrated ‘Dancing Girls’.